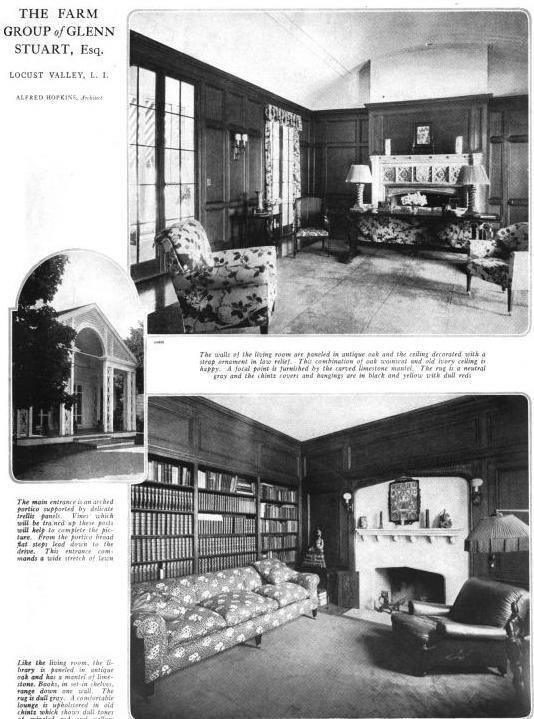 More on the Glenn Stewart (spelled Stuart here) farm group designed by Alfred Hopkins c. 1914 in Lattingtown. Click HERE for more on the Glenn Stewart farm group. I think this might be the Stuart's house or Guest House but its not a Farm Group. Its definetly not the same group of buildings from your previous post on the Stuart Farm Group. The magazine must have been referring to it all as the Stuart Farm. I really like these rambling one story high style Neo Colonials. I ve seen a few of them from this period all over US- of course much later it became the signature of the Architect John L. Volk in Palm Beach. A very suave way of dealing with the desire for the modern comfort of a one story house. This is the main house for the farm group. Spinzia has the name of Forest Edge Farm. If I knew how to add the "Bing" link I would. The place looks very similar to the old. I thought this was that house...we had been looking for info on it a few months ago. It's clearly undergone some alterations. As for bing...click the little email icon on the lower left of the screen and it was give you a link to copy and paste. 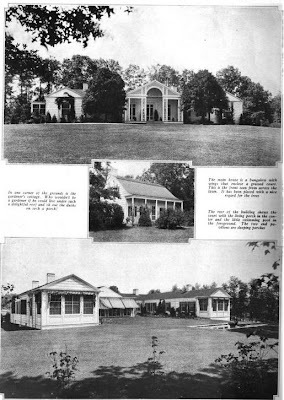 The house noted as "Forest Edge Farm" on Wikimapia and the house posted here as " Glen Stewart Farm Group" are indeed one in the same. Actually no alterations and yes its a house not a Farm Group.